A guest post from Lee Croucher, Product Owner at the DVLA. Lee led the DVLA’s integration with GOV.UK Verify’s public beta, and the View or Share Your Driving Licence Information service. 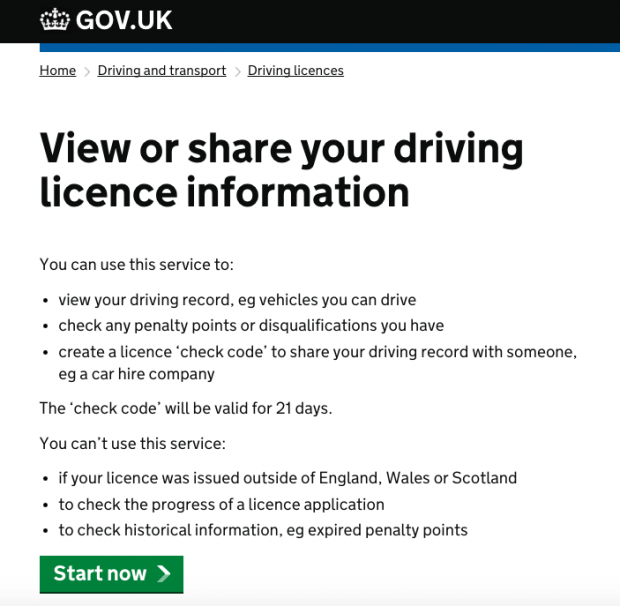 Rather than detail the steps involved in connecting a service to GOV.UK Verify, I thought I’d highlight a few things that allowed me to get a proper grasp of the importance of GOV.UK Verify, and foster understanding and wider support across the DVLA. If I had to state one thing only on why we were able to successfully integrate with GOV.UK Verify: it’s all about engagement. When the DVLA first went into testing with its first private beta service (View or Share Your Driving Licence Information) back in 2014, it’s fair to say some of the metrics concerned us. GOV.UK Verify was verifying 43% of our users, and the DVLA was matching 48% of those to our driver records (whenever GOV.UK Verify verifies a user for any GOV.UK service, the next step is for the department to find a match for the user in their own records). I found that opening up to this issue, both internally and externally at the Government Digital Service and with other government departments, actually aided understanding and presented new delivery options. Today we’re looking at a healthy 68.5% verification rate and a 90% matching rate, and this improves all the time while we’re testing and developing. Holding daily calls with GDS and keeping our executive board fully informed meant we could make big decisions and develop solutions faster. In addition, I held conference calls with other government departments to share information (good and bad experiences) – it’s amazing what you can learn from simply picking up the telephone. For example, this open and honest engagement led to us to implementing a logging mechanism that allowed us to analyse the matching failures, amend and implement new rules that improved our matching rates. If you haven’t had much engagement with GDS about GOV.UK Verify, you might think there’s no other choice but to integrate in one single step. This couldn’t be further from the truth. A simple meeting with Janet Hughes (GOV.UK Verify Programme Director) and DVLA’s executive board helped dispel that myth and generate a wider understanding that the GOV.UK Verify team were there to help, rather than dictate. 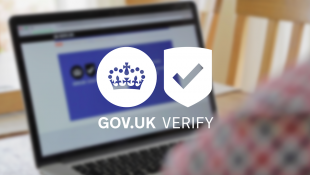 While GOV.UK Verify is in public beta there are always other ways to access services and gradually introducing GOV.UK Verify to your users is possible. I would highly recommend you speak with Janet and the team, and facilitate these conversations at senior levels. It’s never easy integrating with a new or unfamiliar service, but thinking creatively is an essential part of making a service good. We were aware that while GOV.UK Verify is being tested in beta, some metrics wouldn’t be as high as you’d expect for a Live service. We’ve been learning from testing and developing solutions alongside the GOV.UK Verify team and we were keen to see how our user demographic would react to GOV.UK Verify for our online driver services. We were creative and flexible about how we wanted to integrate with GOV.UK Verify while it’s still in beta. A current example with the View or Share Your Driving Licence service, is displaying GOV.UK Verify on a low-prominence basis, with options to increase prominence when we feel it’s ready and approved by our Executive Board. Another example is where we used the matching analysis data to critique our own database to ensure we had no data issues contributing to the failures. We identified a trend, where our records were failing to match users with apostrophes or hyphens in their name because it couldn’t recognise these characters. A simple fix has been identified and due to be implemented imminently, allowing users with apostrophes or hyphens to be matched and use the View or Share Your Driving Licence service. The good news is that GOV.UK Verify is performing well, which you can see in the metrics. We’re excited by its progress and looking forward to going live. We continue to monitor the metrics and impact to the user and agency, sharing this information with all stakeholders, as well as using the information to improve our own services and feedback to the GOV.UK Verify team. On a working level it’s goodbye from me in the day-to-day management of integrating GOV.UK Verify with DVLA services, and onwards to Transforming DVLA’s Drivers Medical Services. I look forward to seeing the continued success of GOV.UK Verify, and further integration of the DVLA and other government department services. In the spirit of engagement please feel free to email me if you’ve got any questions around our onboarding and you can find me tweeting about digital transformation as @L_Croucher.